we wish you Merry Christmas and a Happy New Year, full of Yoshi adventures and fun! May we keep following the Manji way with happiness and joy, good luck, strength and in good health. P.S. 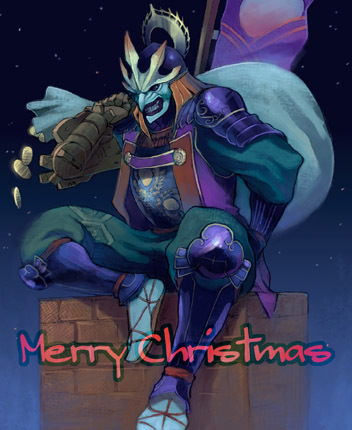 Above: Suekichi's Christmas card from the year 2005.